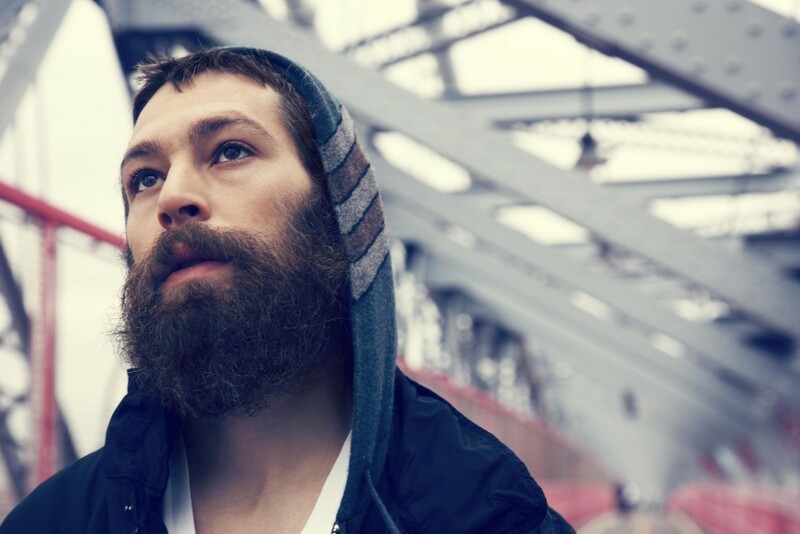 Matthew Paul Miller is a Jewish-American singer/songwriter who goes by his Hebrew stage name, Matisyahu. Growing up in New York as a Reconstructionist Jew with a passion for hip-hop already separated him from his community. He then started experimenting with drugs and dropped out of high school when he was a teenager. At a wilderness program in Oregon he subsequently finished high school and learned to control his drug abuse. There he was known as “Matt, the Jewish rapper kid,” and shortly after high school returned to New York to really discover his sound. While he spent time developing a reggae hip-hop fusion sound, he became increasingly religious and eventually Hasidic. The “Hasidic Reggae Superstar,” as he refers to himself in some of his songs, was born. If a rapping religious Jew was not enough to peak your interest, Matisyahu would undoubtedly still draw your attention: With gray hair at only 36 years old, and standing at a lean 6 foot 4 inches, his presence is powerful even before he opens his mouth on stage. Still, it is his eclectic musical style that really steals the show. Fusing together elements of reggae, alternative rock, hip-hop, rap, beat-boxing and biblical psalms, he is able to produce unique sounds and convey powerful messages. Matisyahu’s first album was released in 2004 and launched his musical career. His second, more mainstream pop rendition of “King Without a Crown” became a U.S. Top 40 hit in 2006. Since then he’s produced well-known hits such as “One Day,” which was remixed to feature Akon, as well as “Sunshine” and “Jerusalem.” In 2011 Matisyahu shaved off his infamous beard and began his transition to more modern orthodoxy, embracing a less strict lifestyle and disappointing many of his fans. Matisyahu is connected to the fans who have followed and accepted him throughout his journey. Although there was a religious shift in his music, his songs are as soulful and spiritual as ever before. “The music, just like myself, is always changing and growing,” Matisyahu described. His newest album, “Akeda,” is in part a response to the backlash he received from fans and friends. But, it also alludes to general themes of struggle and pain, as well as love and appreciation. While “Akeda” is Matisyahu’s most raw and open album yet, in Hebrew “Akeda” actually means “tying” or “binding.” If the album was meant to portray vulnerable themes of growth and acceptance, why not name the album “liberating” instead? Matisyahu performed some songs from “Akeda,” such as “Confidence” and “Surrender” this past Thursday on Sun God Lawn. Opening for him and joining him on stage was acoustic hip-hop singer/songwriter Nadim Azzam, whose father is an Egyptian Palestinian and whose mother is a Jew from Detroit. Nadim, only 20 years old, was born in America and raised on ideals of social justice. Matisyahu and Nadim Azzam have purposefully gone on tour together to promote peace, unity and empathy in light of the larger Israeli-Palestinian conflict. The college-campus tour was a response to pro-Palestinian protests by the Boycott, Divestment, and Sanctions Movement at Matisyahu’s concert in Spain a year ago. The college-campus tour, sponsored by Hillel chapters, in association with other Jewish and Muslim student organizations, has promoted unity among students as well. With over 1,000 tickets sold, the concert was packed. Students seemed to be drawn by the sound and lighting, their eyes remaining fixed on Matisyahu, but their bodies generally stagnant. The front few rows, on the other hand, fed off of his reggae hip-hop sounds, dancing and cheering, especially when he freestyle beat-boxed. Matisyahu seemed to enjoy letting his band rock out, turning his back to the audience and bobbing his head along with the drummer and bassist. He often let the band string out songs, standing off to the side and smiling, as if to admire the sweet sounds produced. To those who know his music and style well, this was expected and enjoyed, but most of the crowd was waiting for the few hit songs and encore that never came.